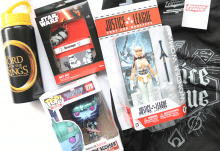 As you may know, Lootaku is a geek/gamer goodie box. 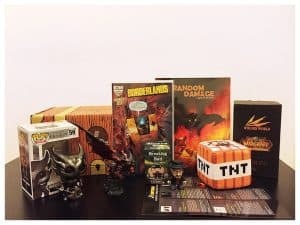 The emphasis tends to be on video games and anime, though during the time I’ve been reviewing they have done GI Joe, Game of Thrones, and (my personal favorite) Marvel-themed boxes. This box is their one-year anniversary box, anime-themed, and stuffed full of some pretty epic goodies. Lets get to it! 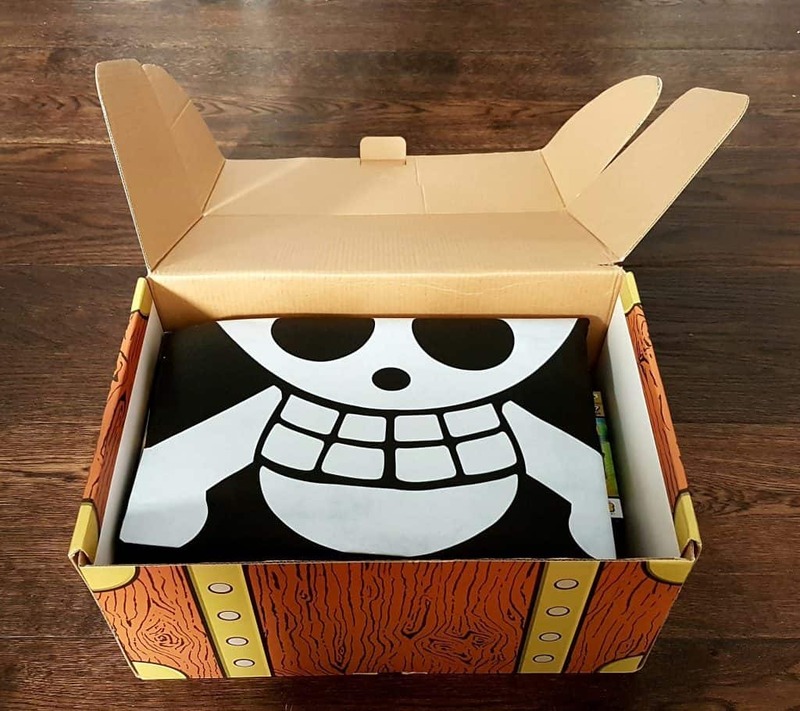 Their mailing box is fab, it looks like a cartoon treasure chest, is sturdy enough to survive the rigours of the mailing system all the way from Hong Kong to the UK, and is marked ‘fragile’ even when it doesn’t contain anything particularly fragile. Very sensible. It’s also well sealed, and you don’t have to worry about customs chiselling you for VAT. 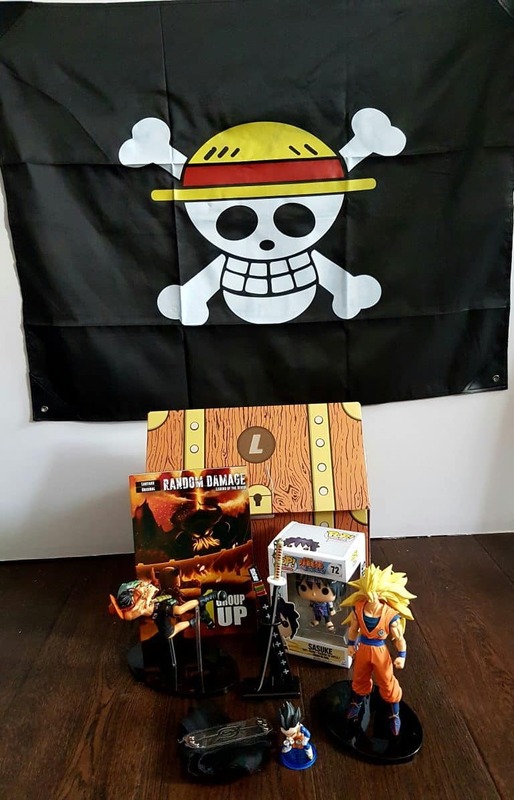 One Piece Flag Straw Hat Pirates. This is a quality item, a great size (109x80cm) and would look great hanging from your treehouse. I wish I had a treehouse. This would also be awesome for cosplay. This time it’s a classic Dragon Ball Z character, Goku. once again it’s a SCultures figure, and this one is heavy. It’s in two pieces (plus stand) and man, those hair spikes are sharp. Watch your fingers putting this one together! Once again, a seriously quality figure. POP! These things are so cute. Even the vicious psycho killer ones are adorable. 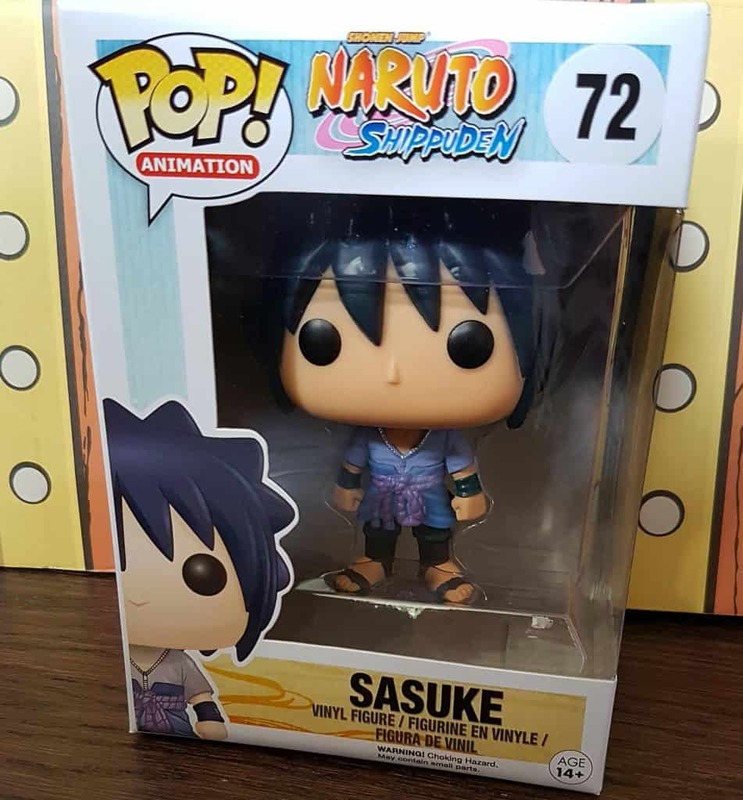 As you can see, this is Sasuke (who is not, of course, a vicious psycho killer) from the anime series Naruto. On to the inevitable mini figure. 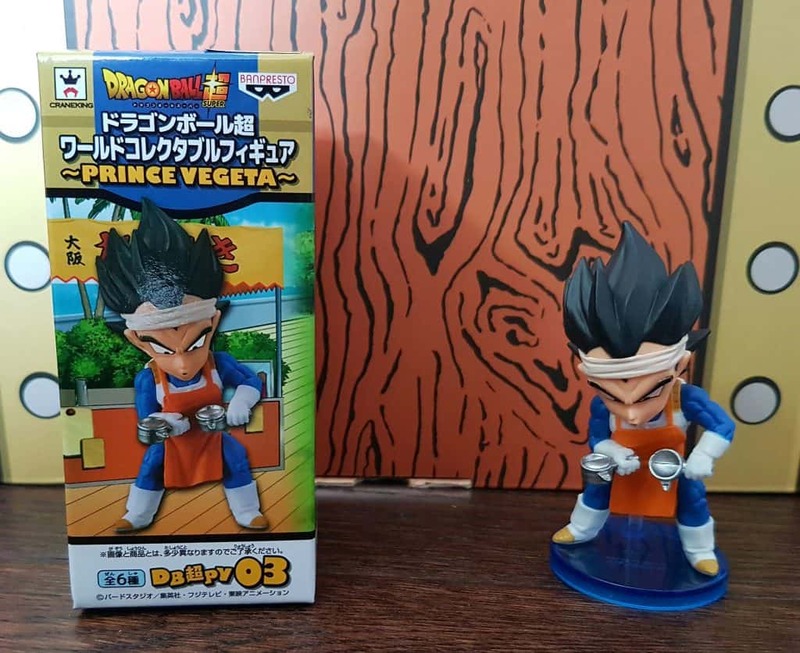 Prince Vegeta from Dragon Ball Super WCF. 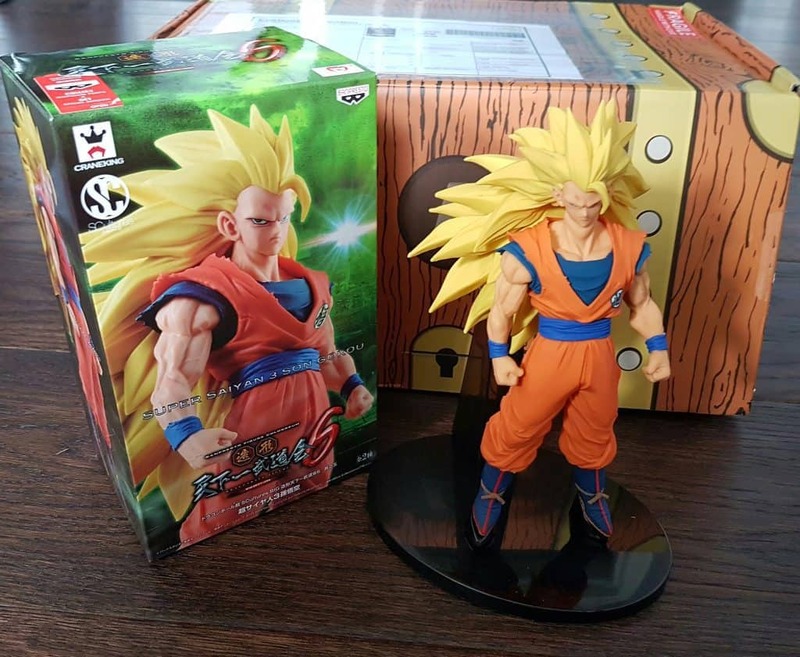 A one-piece figure with a stand. Pretty cute, and good quality. The next item is small but really impressive. This is impressive. It’s small, but beautifully made. It’s called Shusui, and was (apparently) once wielded by the legendary samuri Ryuma. Heavy, nicely detailed, and if you’re not too precious about it as an ornament it would make a superb letter opener. The blade fits into the scabbard perfectly. 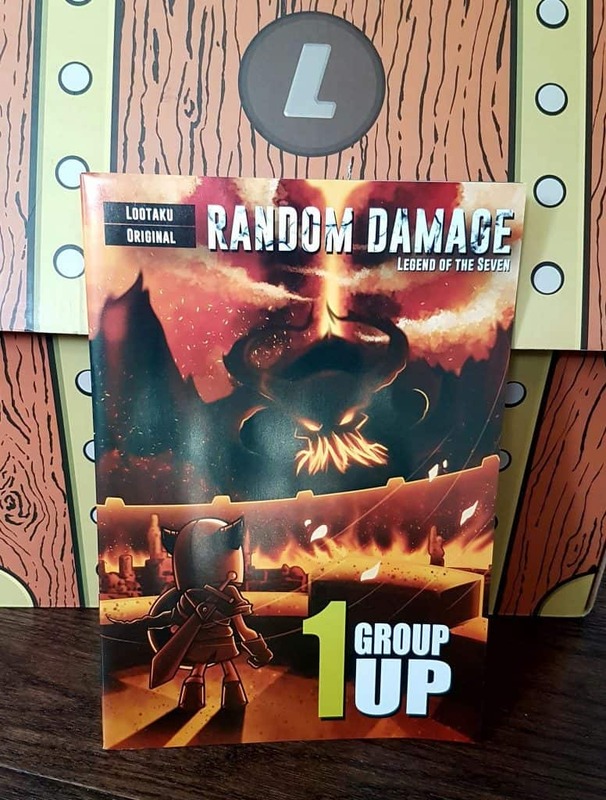 The first issue of the Lootaku Original Comic, Random Damage. They have created a story, Legend of the Seven, based on various MMORPGs, including WoW, Elder Scrolls etc. There’s also a fun addition of a character based o (n a real-life competition winner. An excellent start to a new comic book series. And there you have it! Now let’s talk turkey. As well as useful info about all the items, the menu also contains the estimated value of the contents, and once again I shall do a UK conversion. Conversion rates are as of the day of writing. As usual, I use Auntie Google to find the bits and pieces. Amazon is frequently the best value, but if an item is priced elsewhere I’ll say so. Prices are of the day of writing this review, and I’ll include P+P where appropriate. The valut estimates given on the menu often vary strikingly from the prices I find stuff at, so I go with what I can find online. Prices and values on the menu are given in approximate US dollar amounts. A one month subscription is $380HKD/$49USD. According to my currency converter this is £37.58. 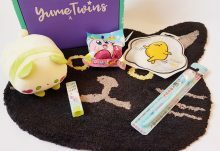 There are two shipping options, approx. £12.76* for 7 – 14 days or £26.05* for 2 – 5 days. Personally I think this is a little steep, but then HK is a long way away. 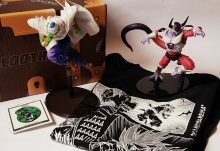 *All Lootaku subscriptions are currently marked as Sold Out on its website, so I can’t get up to date shipping prices. Those above are from a previous review, during which time the exchange rate has changed slightly. So I will use the amounts above, although today’s prices will be slightly different, but not significantly so. Flag: £5.83 This was very tricky. I can’t actually find it for sale despatching from a UK store, so everywhere,including Amazon, had massive (£12+) shipping costs. The Amazon price before shipping was around £20. 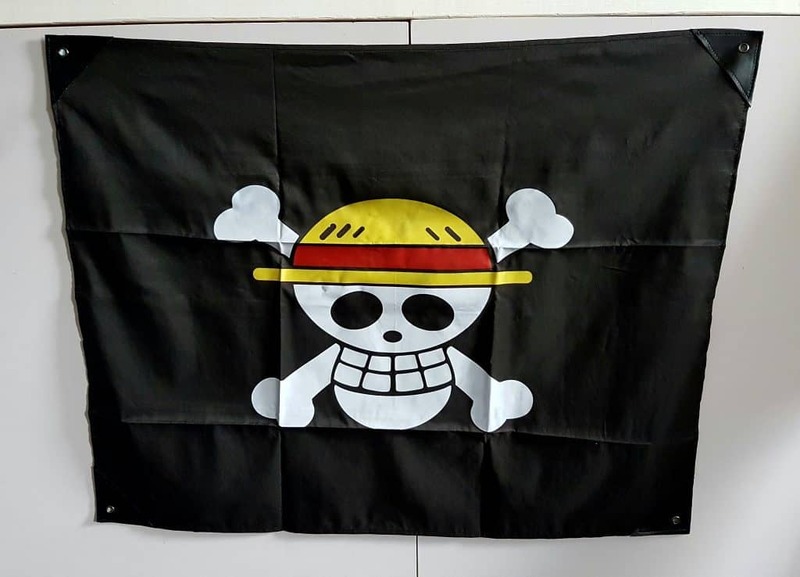 However, I did find what looks like the identical flag on eBay, coming from China with free shipping. So despite the big official prices, I’ve gone with the eBay one, as I suspect these items will all come from China, regardless of where they’re sold. 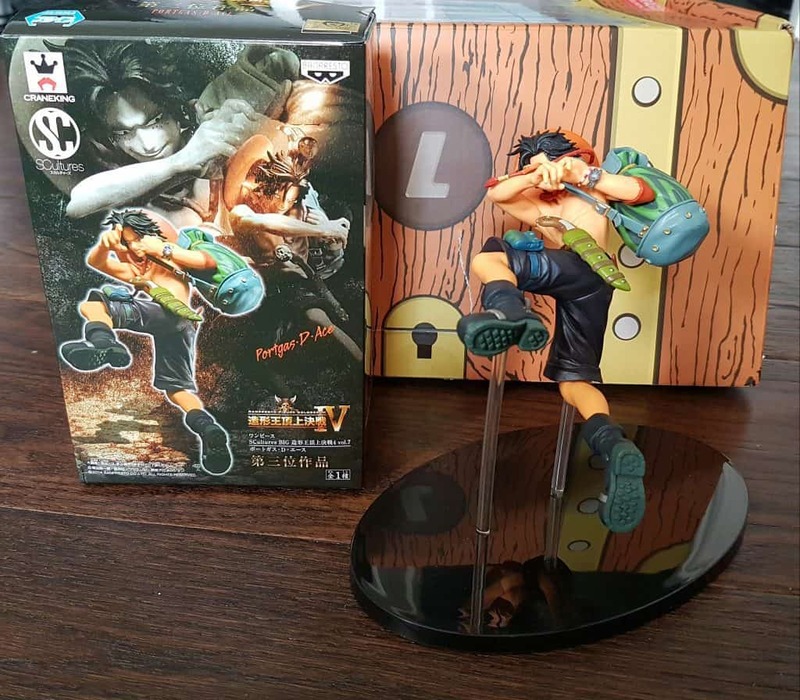 One Piece Figure Ace: £19.99 This is from eBay again. Can’t find it on any regular UK outlets. 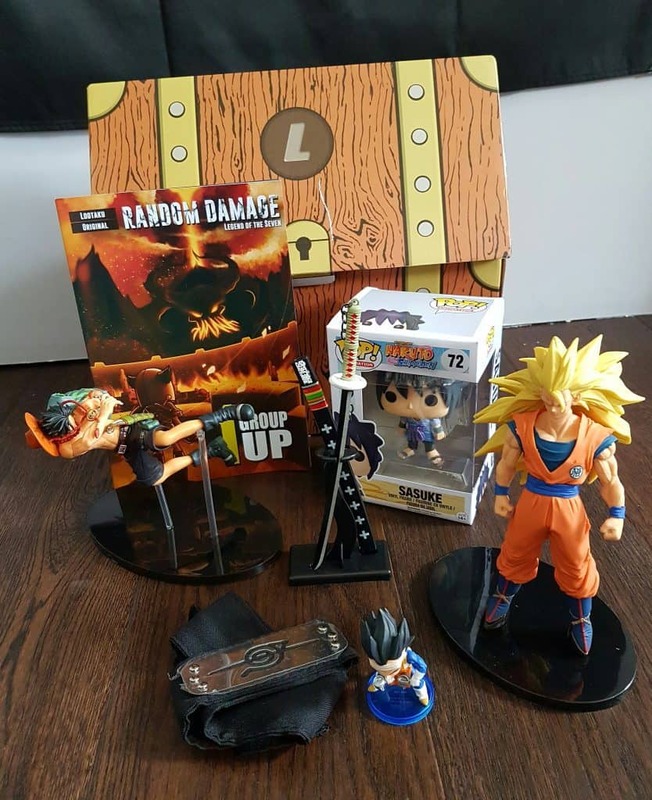 Goku figure: £19.99 from Forbidden Planet. POP! £8.99 Forbidden Planet again. Mini figure £10 A weird one. There were some from this range on eBay at wildly varying prices, plus sets of five which included this figure. As I couldn’t find this on individually I looked at the set of five on Amazon.com, which were around £50 including shipping, and divided the total, giving £10. But for this one, who knows really? Mini Sword £15 What a nightmare I had with this. First up, I could not find the exact same one. I googled for nearly half an hour and came up with nothing, nada. 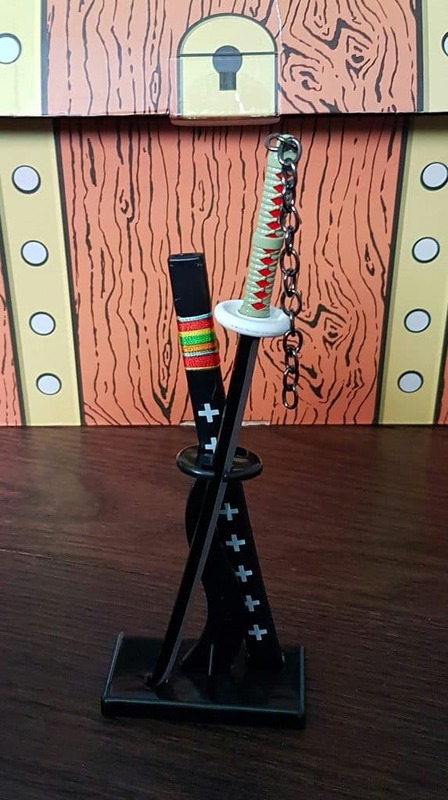 So, as I commented it would make a good letter opener, I looked at various samurai sword letter openers, decided how this one would compare to the various ones I found, and estimated a value. It migh be way off base; could cost a fiver or forty quid, who knows. But it’s the best I could do. And I think it’s cool, and it will be getting a new home on my desk. Forehead protector £5 There were several of these at similar prices on Amazon, so I went with an average. Comic £3 This was priced at $4 on the menu, so as it’s an exclusive I’ll go with their price. Well hot damn, that’s a good deal. I figure as this is an anniversary box, it’s going to have some special stuff in it, but the value here is really impressive. Especially when you consider how hard some of this stuff is to find. Maybe not in China, or Hong Kong, or Japan, but in the UK a lot of anime-related stuff requires importing. 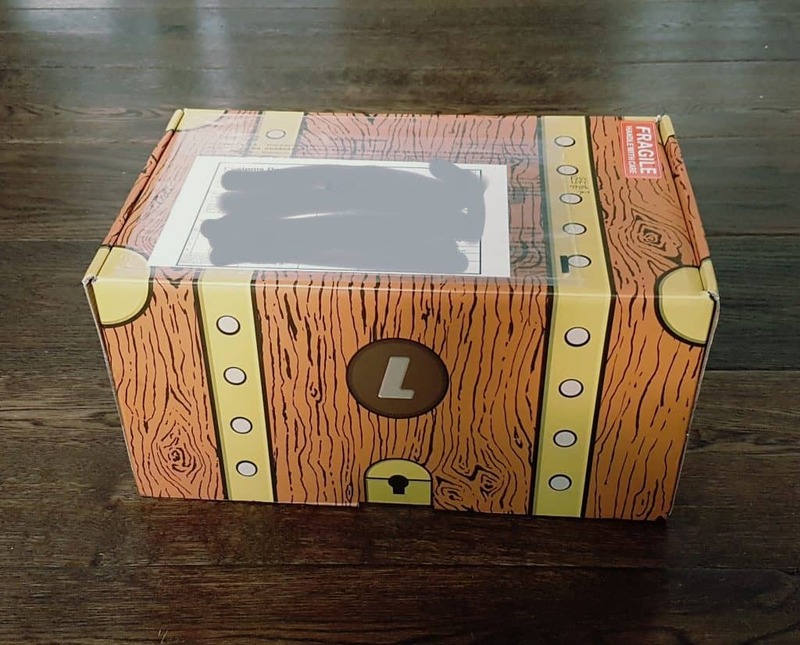 Once again, a superb box from Lootaku. Eight items, and none of them crappy little keyrings or stickers, which is impressive. The theme is ‘Ultimate Crossover’ which works pretty well here. Lootaku is, after all, primarily anime/manga, and they’ve surpassed themselves on this one. The variety is excellet, and they really love their figures. There must be people with buckling shelves of these things. I must admit that anime isn’t totally my thing, though I very much appreciate the thought and effort that goes into these boxes. I’ve not been disappointed with one yet; there’s always great variety, and often things which are damn near impossible to find in the UK. And especially, no crappy promotional freebies; all their stuff comes from actual shops and has to be bought with actual money. 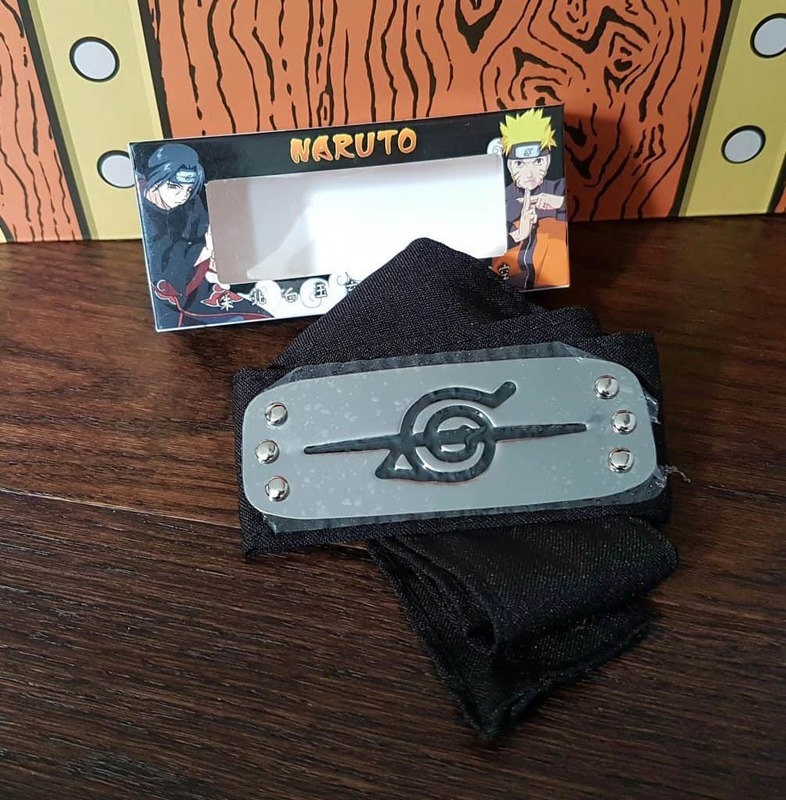 If you know someone who’s an anime geek, this company is perfect. I never know when my box is going to arrive, but it comes a long way, is always perfectly intact, and their Facebook page provides dispatch updates. I understand that this box, which is actually for August, wasn’t dispatched until September, due to technical or supply problems, but they seem to be upfront about delays or problems. And it’s worth the wait. None of these things are particularly time-sensitive, so it’s simply a joy when it arrives. Highly recommended. I can’t wait for the next one!